Right guys let the fun begin. Expect flack but so what. Jake will you start a bottom of league thread? This is TOP OF THE LEAGUE THREAD. Why are Clyde supporters on here? Because 9 hours ago we WERE top of the league. Nice wee set up, Cheeseburgers for dinner anyone ? 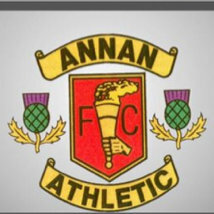 Well with the Mighty Clyde + DGW show rolling into Annan they will want to get their title push re-started and Annan will be hard to beat so both could lose 2 points to Peterhead. We’re here again?! Ya dancer!! Little Edinburgh City top of the league! 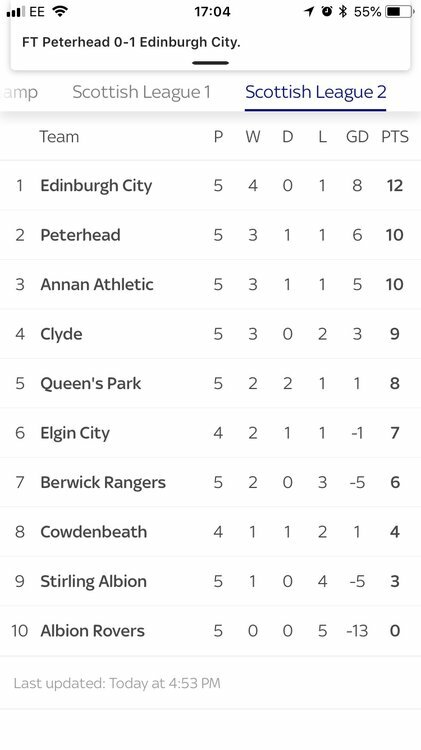 Edinburgh City top of the league, who’d have thought it!? Enjoy Edinburgh you deserve it . Just thought id post for the sheer hell of it on a thread id have had no place posting on before the start of this season. We are top of the league, a place where Berwick will never be again. Glorious stuff lets keep this going City!!! Just keeping it warm for us imo. Another enjoyable day out for City fans today!